Affordable Dumpster Rental of Baltimore Washington DC (443) 712-7080, Starting at $199! Welcome! 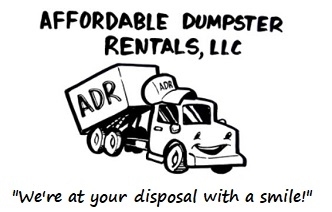 Looking for Dumpster Rental Prices in Baltimore? We are here for your Dumpster Rental needs! Welcome! Serving Baltimore for your Dumpster Rental needs! Welcome! Serving Washington DC for your Dumpster Rental needs! DUMPSTER RENTAL IN BALTIMORE & WASHINGTON D.C. Affordable Dumpster Rental provides low-cost Residential and Commercial Roll off Dumpsters and Dumpster Bins starting at $199. We’re Baltimore / Washington D.C.'s premier dumpster rental service to call today for rates and services. Our Baltimore and Washington DC Dumpster & Bin Rental Service includes: Residential Roll off Dumpster Rentals - Construction Dumpster Rentals - Bulk Trash Dumpster Rentals - Garage Clear Out Dumpster Rentals - Landscaping Waste Dumpster Rentals - Commercial Dumpster Rentals - Junk Removal - Roll off Dumpsters and Bins for any job! GL - Free EZ Quote Form - Powered by G.L. Silver Spring and all surrounding areas. 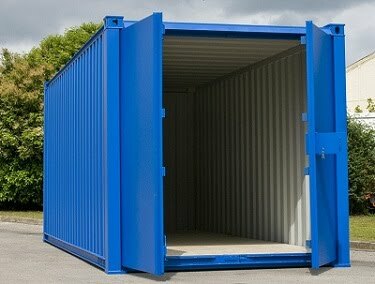 Now Renting Portable Storage Units! SAME DAY DELIVERY MAY BE AVAILABLE! We Work Hard To Save You Money! Rent a Roll-off dumpster & dumpster bin for all projects! Affordable Dumpster Rental provides dumpster bin containers available in 4, 6 & 8 cubic yard capacities. These garbage removal dumpster bins are ideal for residential trash removal, restaurants, hospitals, apartments, grocery stores, gas stations and many others businesses. Rent a roll off dumpster or dumpster bin container in Baltimore and South Washington DC, for trash removal or construction waste removal. Looking for Cheap Dumpster Rental Prices in Baltimore / Washington DC? Call Today for a Dumpster Rental Quote! Now Offering Junk Removal Services! Subpages (5): Free EZ Quote Form Proud to Serve Baltimore & Surrounding Cities Proud to Serve D.C, Baltimore, and Surrounding Cities Welcome! Serving Baltimore for your Dumpster Rental needs! Welcome! Serving Washington DC for your Dumpster Rental needs!